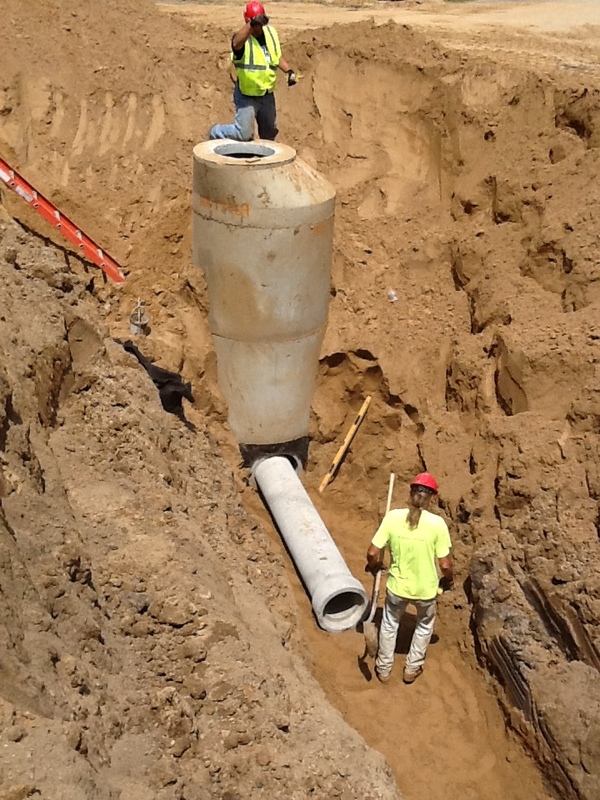 This week the contractor is continuing to install storm sewer pipe down Richard Street. Due to this work, Richard Street will remain closed to through traffic. Local access will remain open for residents along Richard. Mail delivery will continue to be temporarily relocated to a bank of mailboxes located on the northwest side of the Auburn/Richard intersection. Road restoration work is being performed on Richard Street, with gravel being placed from Hamilton to Dean. The contractor is also beginning storm sewer installation on Dean Ave. As a result of this work the mailboxes on Dean have been temporarily moved to the intersection of Dean and Holt Road. Dean is closed to through traffic, with local access being maintained from either the north or south. The contractor is still performing a boring operation at Auburn St., just south of the Richard St. intersection. Consequently Auburn St. will remain completely closed at this location. This work is beginning to wrap up and we anticipate that by the end of the week Auburn will be opened back up to local traffic only. We ask that you remain patient during this process and also keep your distance from the site. Although all construction sites can be dangerous, this work and the area is especially sensitive and only properly trained personnel should enter this location. As with all construction projects this timeframe is subject to weather and any other unforeseen delays. Consumers Energy is wrapping up work on Phillips, Adelpha, Burton, and Kathy Kourt. The remaining work is primarily restoration of the disturbed areas. 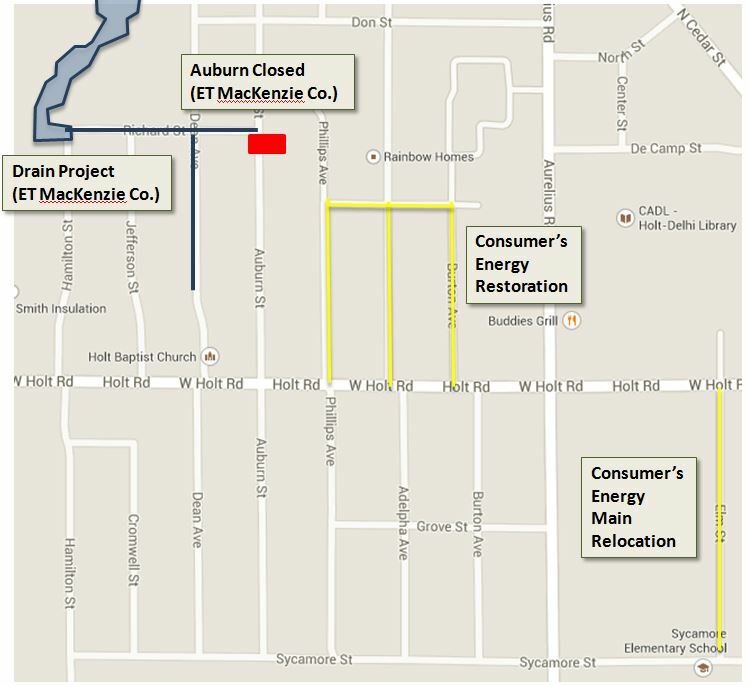 Consumers is also working on Elm St. performing gas main upgrades.